With the proliferation of hosted applications and Software as a Service (SaaS), cloud computing is becoming a reality for more and more UK businesses. 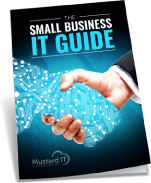 Mustard IT offers a comprehensive range of cloud products including cloud email, Office365 and online storage. Upgraded operating systems and Windows security patches can cause a variety of problems for application software. Mustard always tries to avoid such issues by speaking directly with software vendors prior to any planned system upgrade or migration. But if problems do arise, we’ll liaise with their support teams on your behalf, leaving you to concentrate on your work. Dedicated account managers work with all Mustard IT support customers to consult and advise on every aspect of their network including license management and compliance. Operating systems and application software pose some of the greatest operational challenges to users on a daily basis. That's why Mustard IT takes vendor relationships, engineer accreditation and software support services so seriously. One of the traditional complaints leveled at IT companies has been the unwillingness of hardware support providers to communicate with software vendors, effectively creating a ‘no man’s land’ for the user whenever certain types of fault arise. But Mustard IT clients will never suffer this frustration. That’s because we’ll support virtually any business software from Microsoft and Apple through to virtualisation products, security software and applications like Sage and ACT. If our own engineers cannot directly support your key business applications, we’ll ensure you have adequate support from your vendor and we’ll liaise with them on a technical level whenever the need arises. Mustard will support virtually any business software from Microsoft and Apple through to virtualisation products, security applications, accounts and CRM packages. If our own engineers cannot directly support your key business applications, we’ll liaise with the people who can.